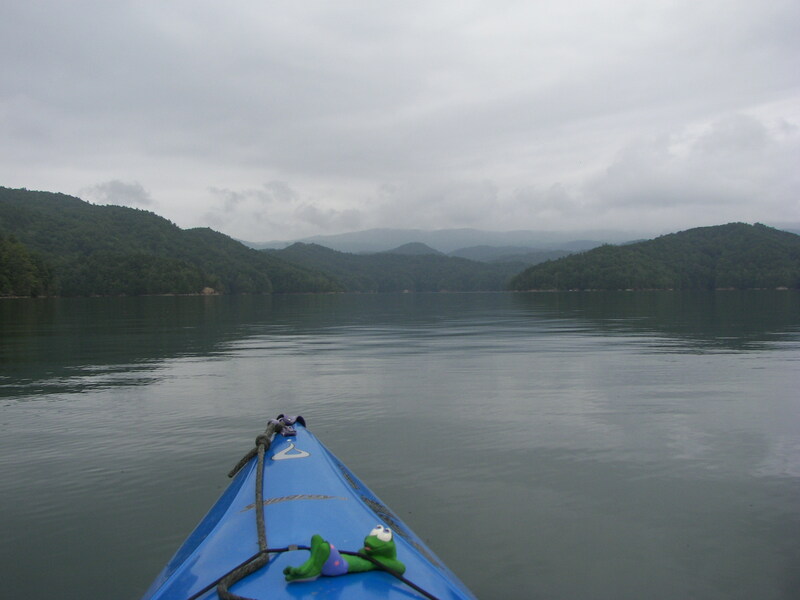 I’ve boated almost every inch of lake Jocassee , paddled it I had not. 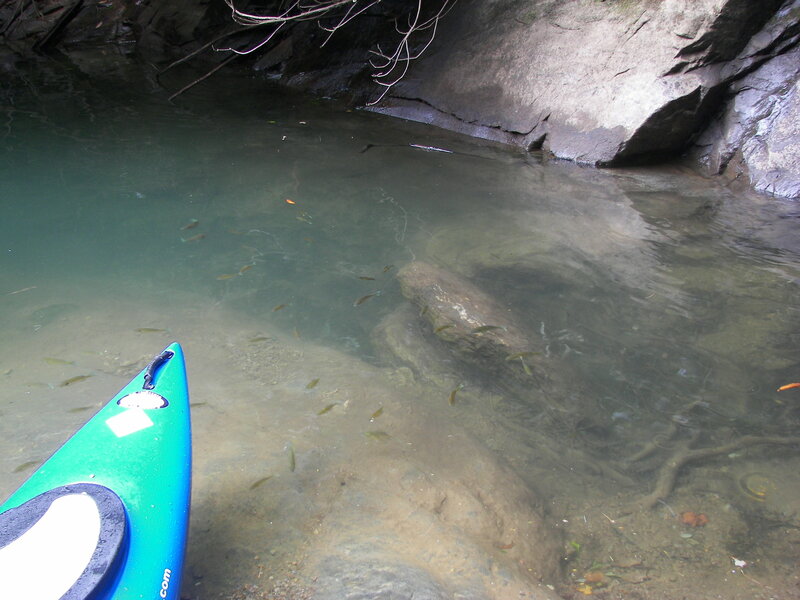 There are so many coves, crevices, that it’s just not possible to appreciate them from a larger vessel, one creek in particular had been on my mind for some time; it was in the SW corner of the lake – just out of reach, so feeling the August doldrums and in the still of a morning I figured Why not? 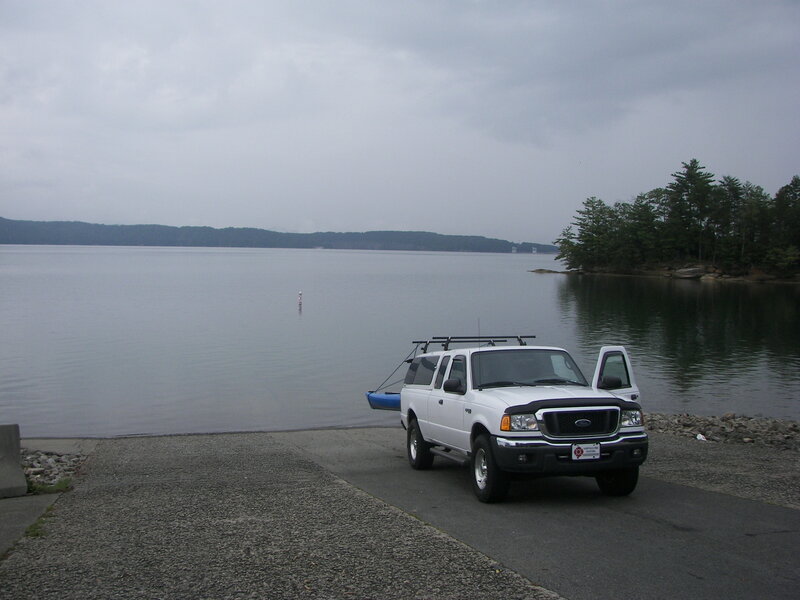 The yak was loaded and I was on Jocassee by 10am..
Devil’s Fork State Park is a great place to begin a Jocassee trek, the Park provides three separate ramps to launch from. 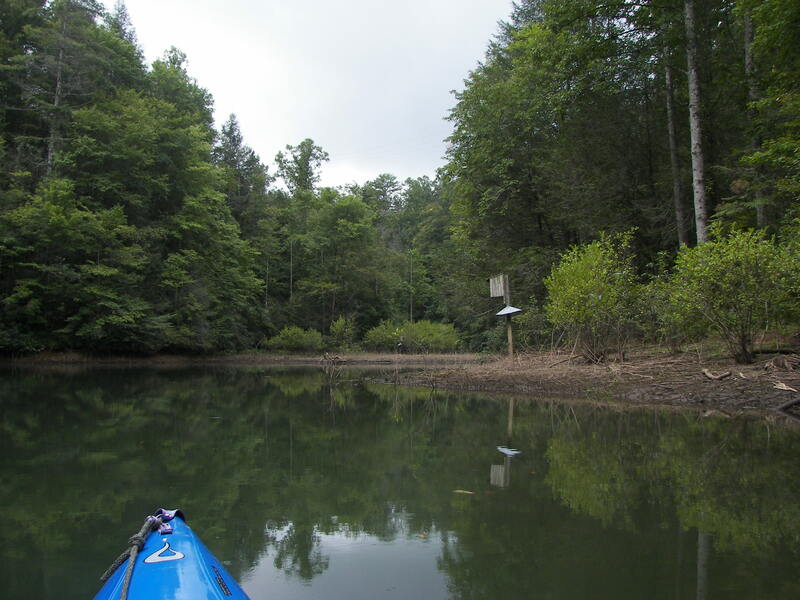 For a newcomer it is tempting to launch off of the main launch at the visitor’s center, and you can – but if you launch from the remote boat ramps within the park you will save lots of time, fishing boats, and needless paddling. 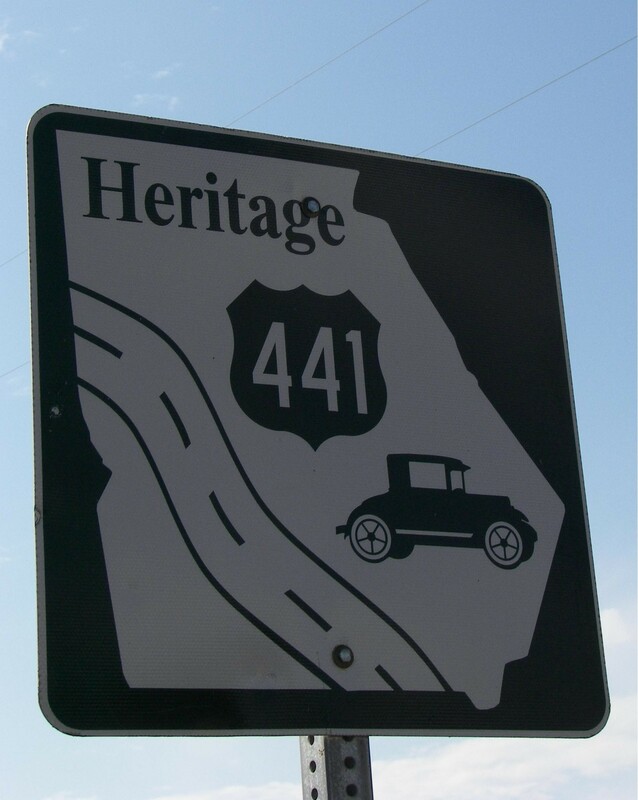 Immediately at the entrance to the park make a left through the gate and follow the road (past the campgrounds) to the ‘remote boat ramp’s (@ 2 miles). Along the way you may have to stop and pay a day-fee at the ‘can’ (honor system) but then head on through. The first ‘remote’ ramp on the right is where alot of dive training takes place so stay left and use the last boat ramp to the left – this is where the majority of paddlers put in. 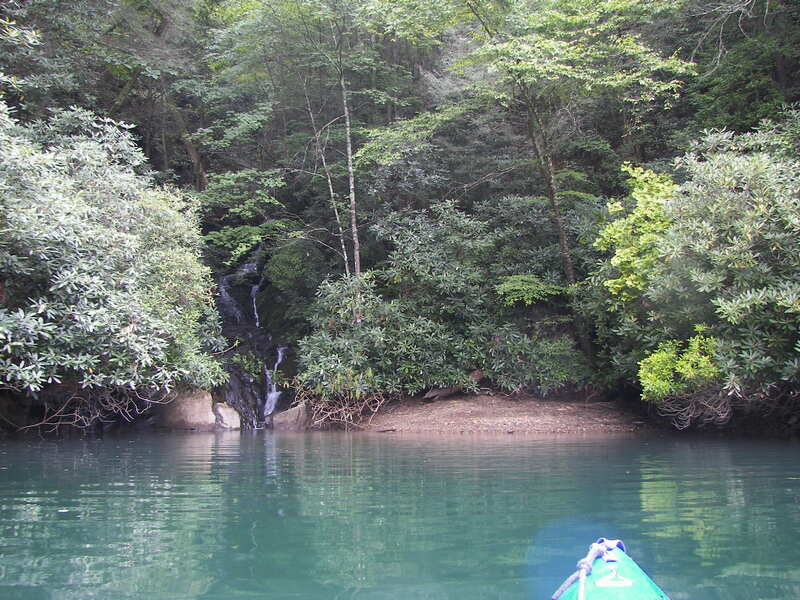 The creek that I wanted to check out was on the SW corner of the lake, Limber Pole or Howard Creek. 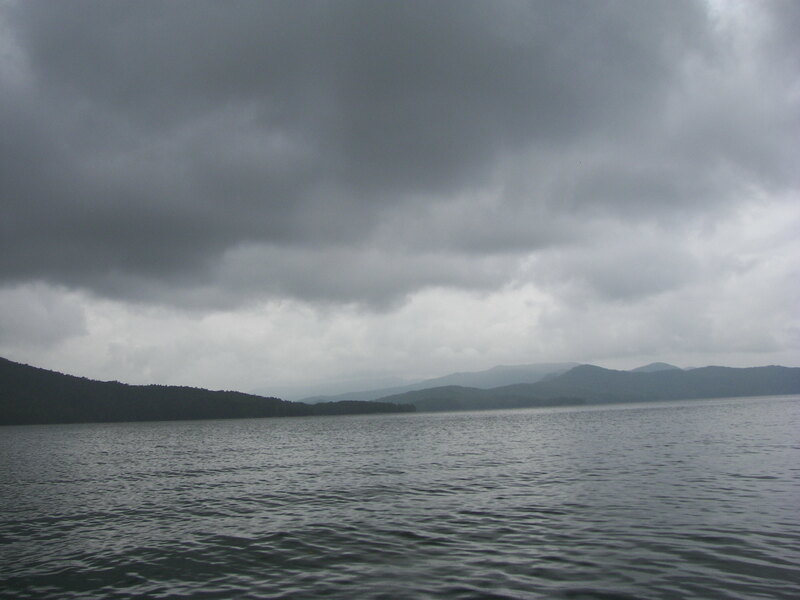 It was a ez paddle with the breeze at my back and there were few souls on the water – likely because it was a weekday and also because there was weather moving in, slowly. Out on the main body of the lake afternoon weather can move in quickly creating menacing whitecaps, so my plan today was to simply run the left bank towards the westward edge of the lake. 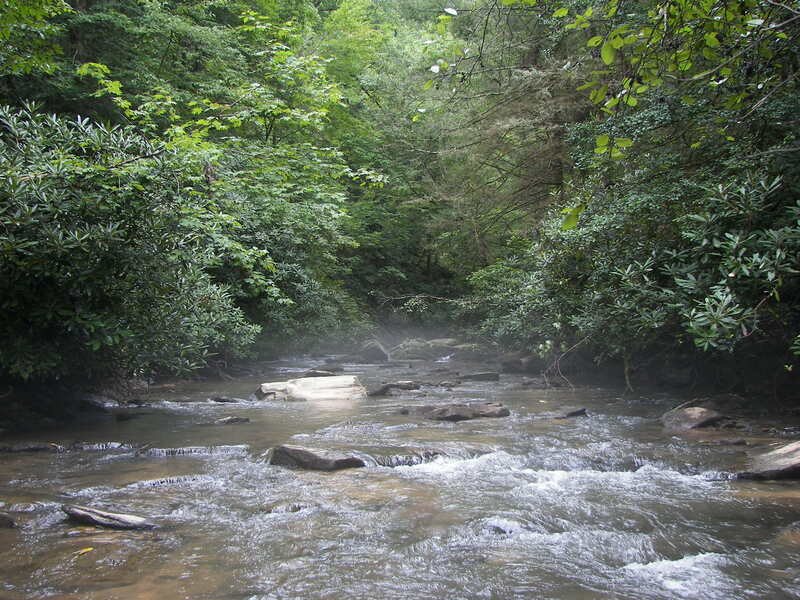 Top of Howard Creek, I followed it as far as I could – until I had to walk, then I walked a little further upstream, with all the August humidity the vapor coming from the cool mountain stream was apparent. The cool water felt great. 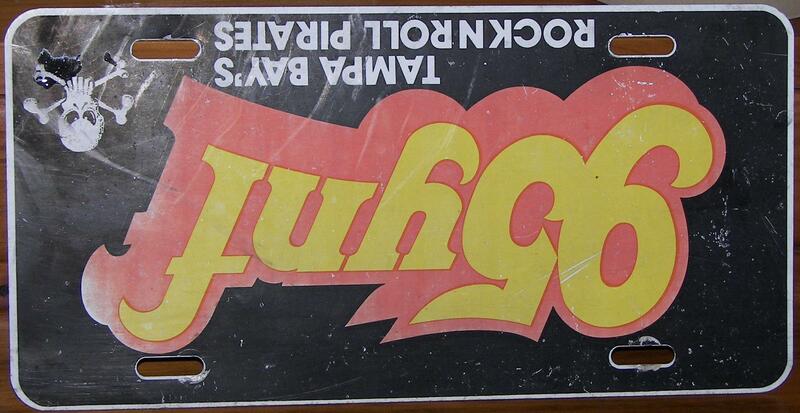 always stuff to ponder on….. The overcast had ‘burnt off’ and the sunlight had me ‘oiling-up,’ or spraying down which everway you want it (I like the spray on sun-block over the 80 weight rub-on), made several stops just to jump in. 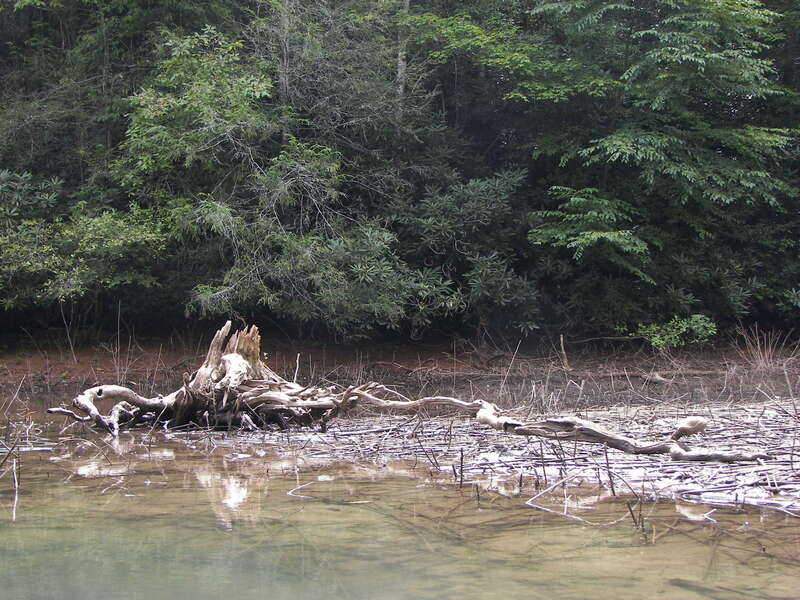 Water was clear, shoreline was peaceful – heard something rambling in the woods but never got a real take on it. 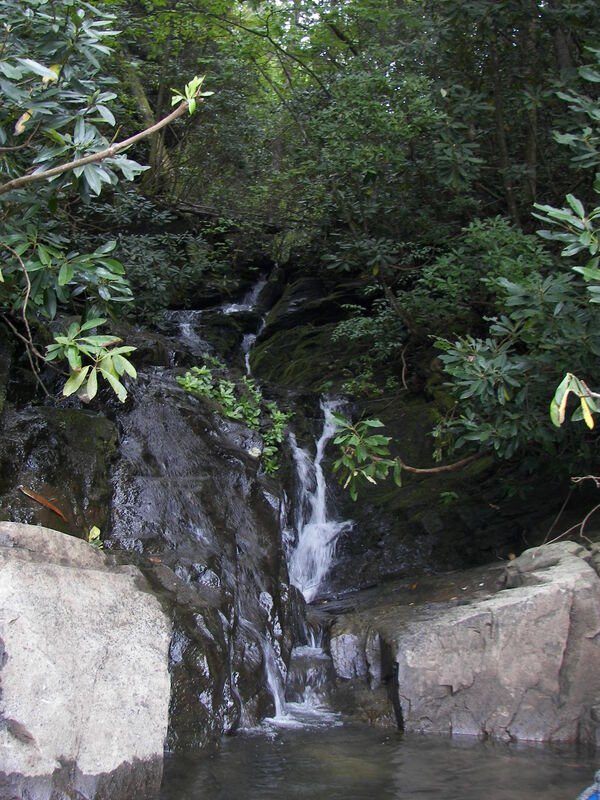 Lake Jocassee has many small (and large) waterfalls in and about the shoreline, the SW corner of the lake has its share of smaller (but very nice) ones – in checking the chart any creek or water marks flowing into Jocassee is a fall, some are just larger than others and most are in very peaceful coves – if you listen you will find one. The sprinkles came and I didn’t rush one little bit – wet, is wet (and it really felt good). 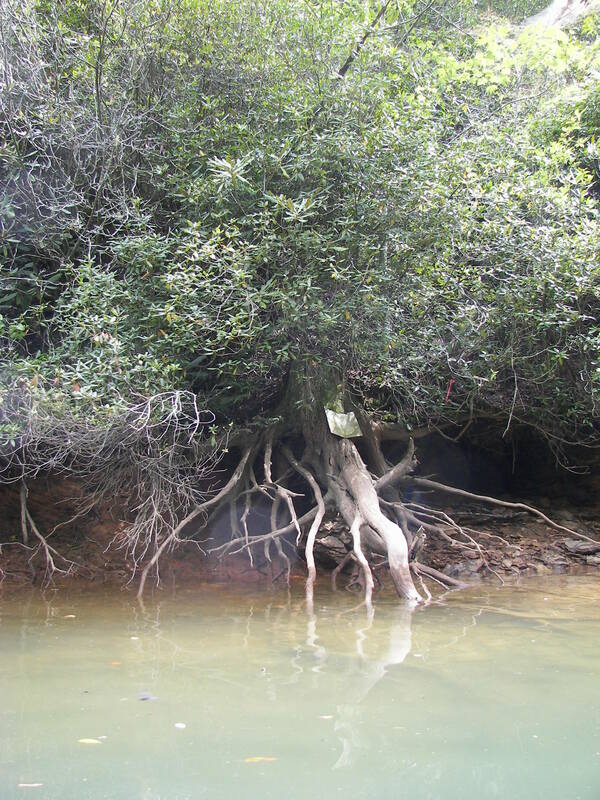 Stopped for a sandwich, power bar, and a cookie – found out that blue gills prefer sandwich crust over chocolate Oreo cookie’s (which they avoided all together), they liked the vanilla ones…. (‘smarter than a fifth grader’). Just alot peace mixed with shoreline. 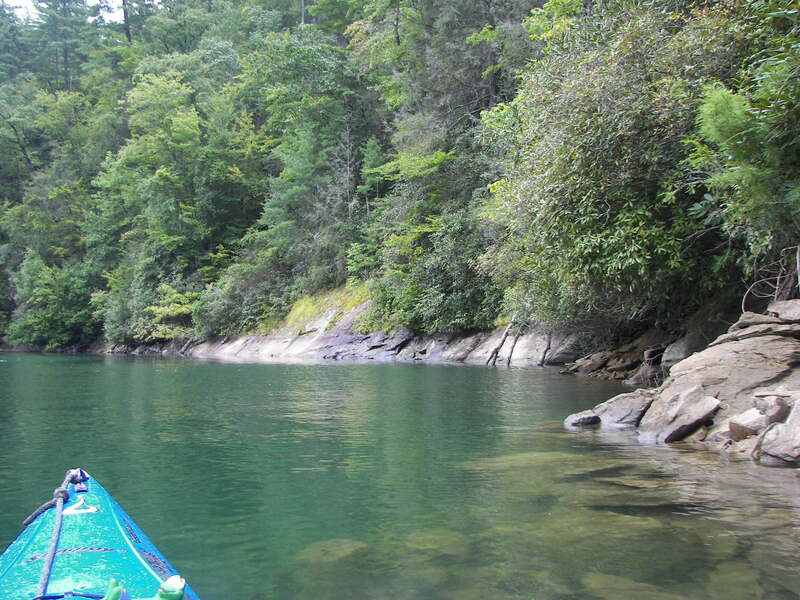 Covering this corner (follow the shoreline left from the ramp) of Jocassee is an easy half-day paddle – I put in at ten and was out by 3, at a slow to moderate pace. 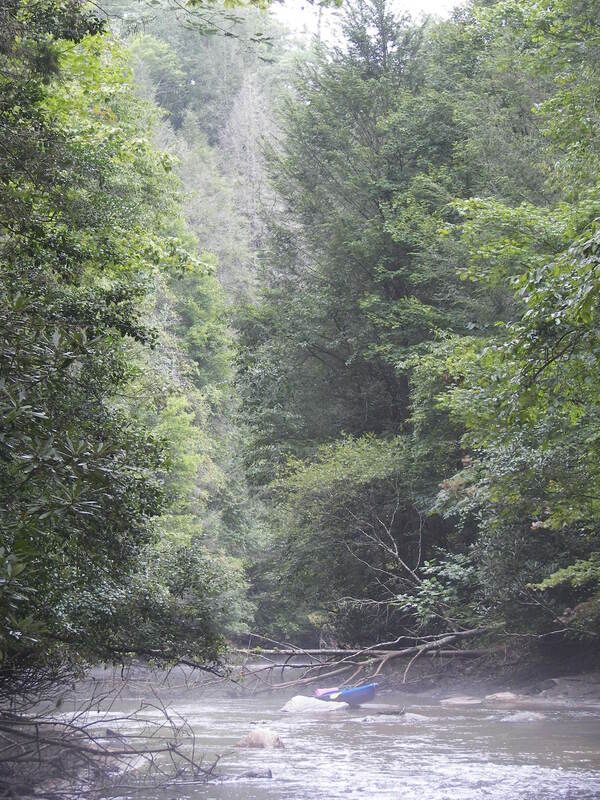 In an extended paddle crossing the main body of the Lake to the Northeast you will find more of the real beauty of Jocassee, the lakes channel will even crosses into North Carolina several times. Returning you will find the nicest of white sandy beaches to the left in the large cove under ‘jump-off’ rock (mountain) – and the water, well its absolutely ‘fresh’ and clean. The rain came and the parka came out, it was still very comfortable. 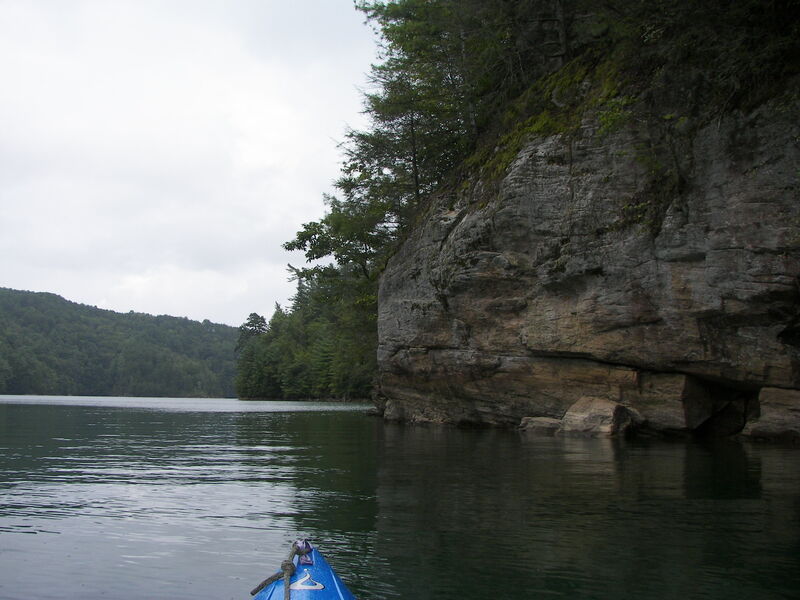 I have been on the Lake in July when the pelting rain here would make you shiver, at that time it was warmer to get out of the boat and sit in the water until it passed – today I just eased along under the branches and rocks of the shoreline. 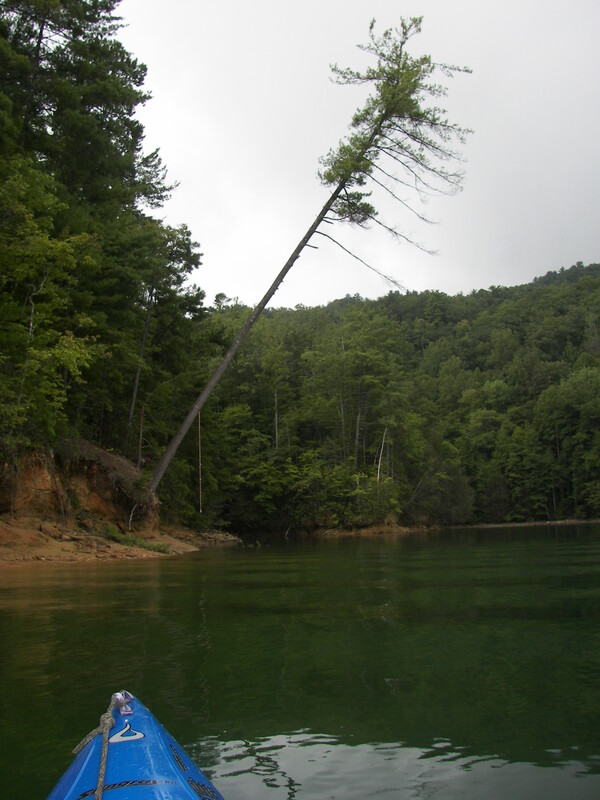 There is no way to see Jocassee in a day, especially from a kayak. Taking it in ‘baby-step’s is a good idea if you can. 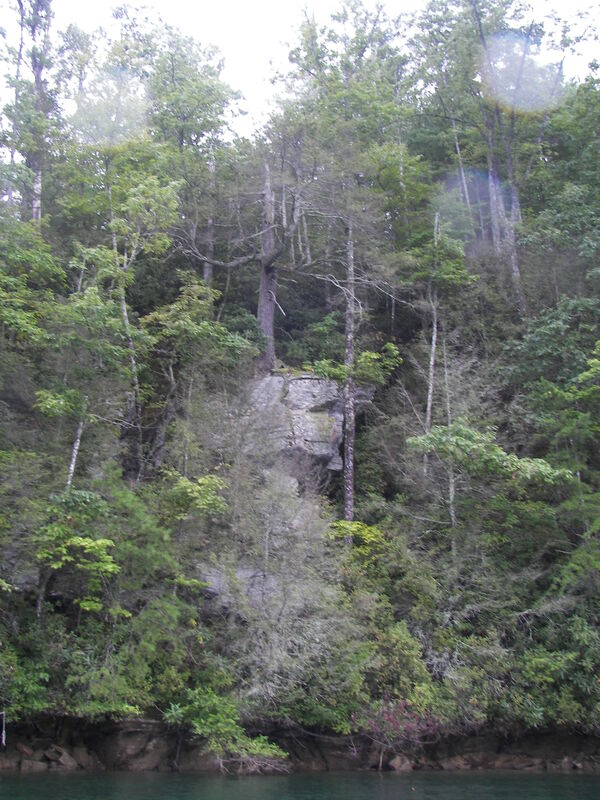 The lake is sparsely populated with limited camping, Devils Fork Park is a fine place to camp if need be – as for me I only had about ten miles to go for home. 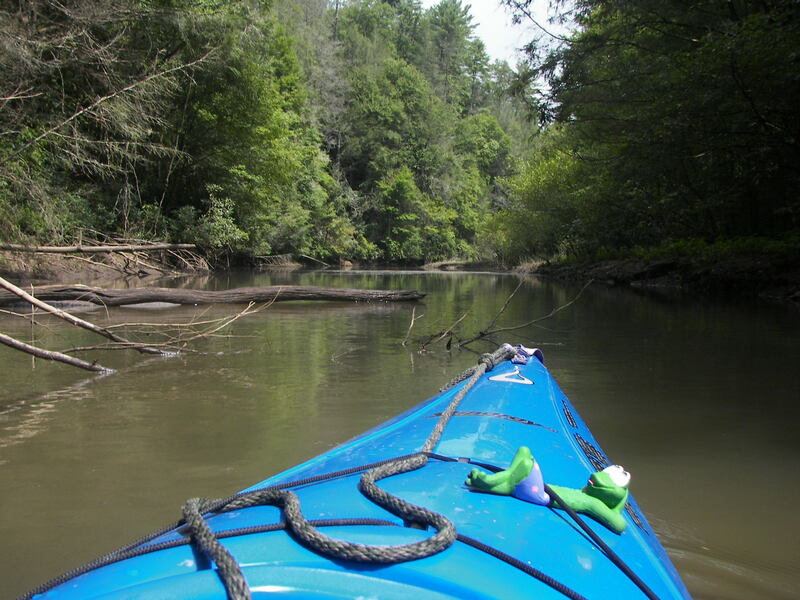 As I was taking out there were two Michigan paddlers (Lansing) awaiting their ride, which was an hour or so away. 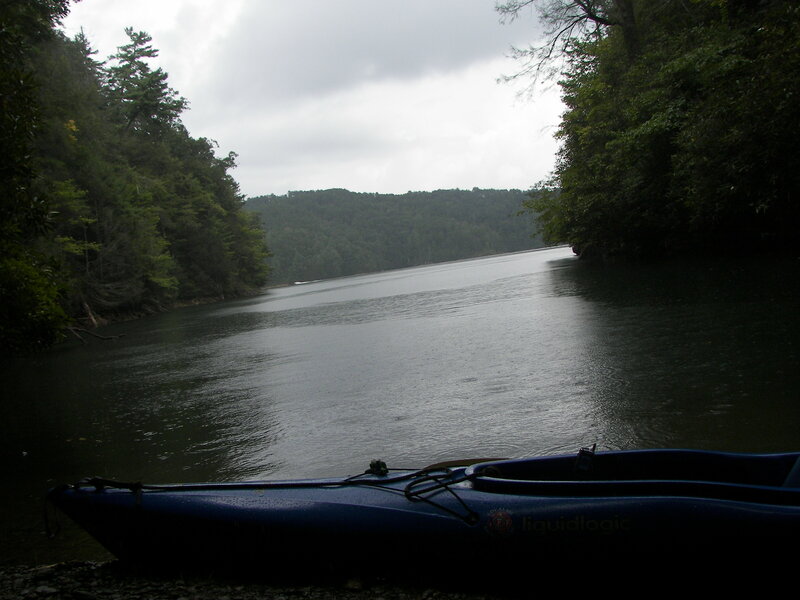 They were in a kayak and a canoe and had been camping for several days, we hung around and shared a laugh or two while it rained – talking about the shoreline sure beats talking about the weather. 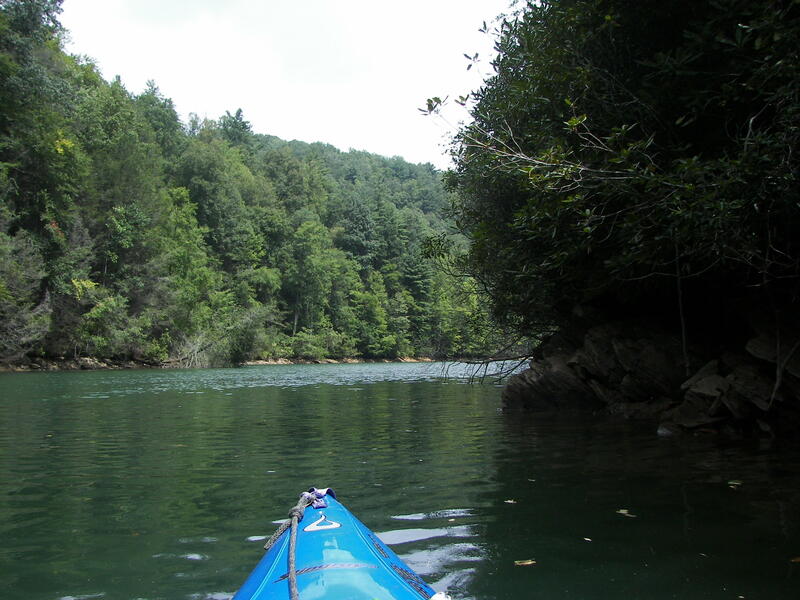 More Jocassee paddling information from WNC Paddlers. 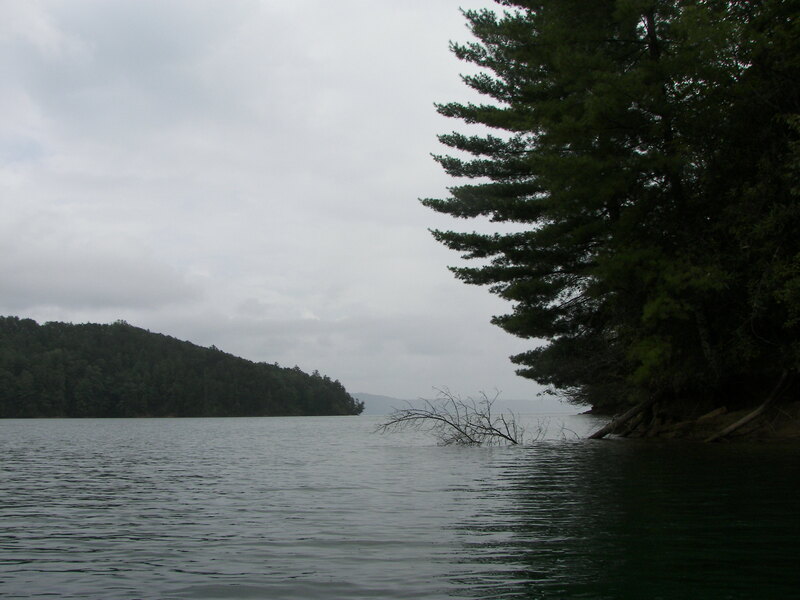 My little post does not do Jocassee total justice, the trip will be worth your time Rick. Tom I’m Andy Seitz. My Dad lives on cherokee as well and a friend (Gene Thomas) too. 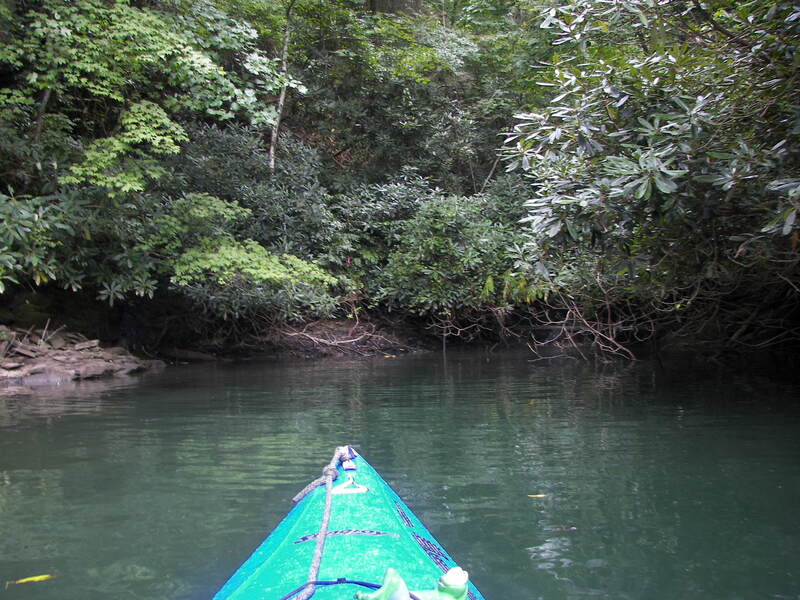 I’ve enjoyed your blog tremendously and would love to catch one of your local trips or day-paddles with you. 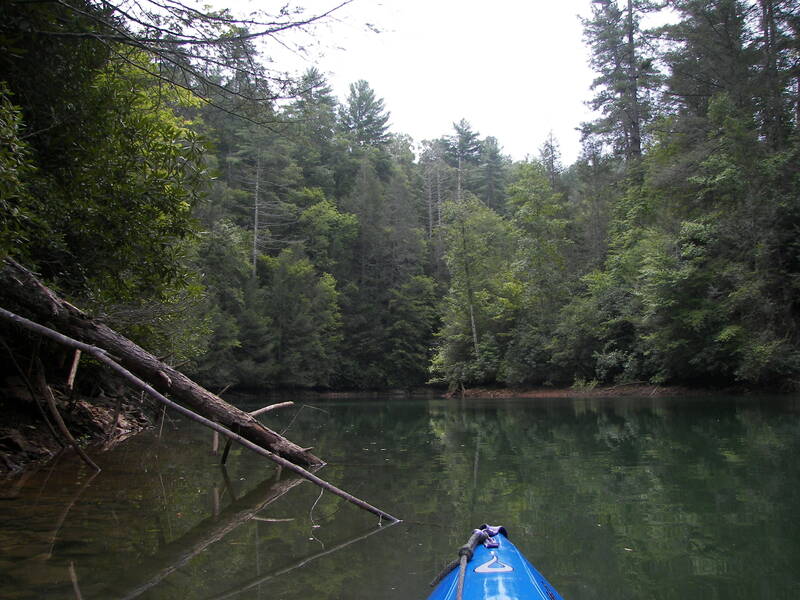 Here is a vid of our latest Jocassee paddle. Let me know what you think.